The Food and Drug Administration (FDA) has long had “commitment issues” in its relationship with the First Amendment. It possesses statutory authority to prevent the sale and distribution of drugs whose intended use and labeling are not FDA-approved, but in doing so it routinely treads on manufacturers’ speech. Federal courts have held repeatedly that the First Amendment severely restricts FDA’s regulation of truthful speech about approved drugs. The agency has responded with assurances that it will comply fully with those court decisions. Recent actions make clear, however, that FDA shows little or no respect for those rulings and apparently believes it is not bound by the First Amendment. The latest example of FDA’s defiance took the form of a Warning Letter issued by FDA’s Office of Prescription Drug Promotion (OPDP) on November 8, 2013 to Aegerion Pharmaceuticals. 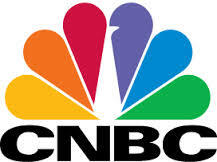 OPDP’s letter objected to an appearance by Aegerion’s CEO on a CNBC talk show directed to the financial community. During the course of his interview, the CEO suggested that Juxtapid, a drug manufactured by Aegerion, was safe and effective for several off-label uses that are closely related to its approved uses. For example, the CEO could reasonably have been understood to say that the drug, when taken by itself, was effective in reducing a patient’s “bad” cholesterol levels, even though FDA has approved Juxtapid as a treatment for reducing “bad” cholesterol only as an “adjunct” to a “low-fat diet and other lipid lowering treatments.” The Warning Letter did not contend that the CEO’s statement regarding efficacy was false, but it nonetheless charged that the statement was illegal because it rendered Juxtapid “misbranded.” The letter demanded that Aegerion “immediately cease misbranding Juxtapid” and to issue “corrective messages” to rectify the situation. So how did OPDP reach the remarkable conclusion that truthful statements made on a television talk show aimed at the financial community can render an otherwise lawful drug “misbranded?” OPDP noted that a “misbranded” drug is defined to include a drug that lacks adequate directions for all intended uses. It is safe to assume that a drug’s approved labeling does not include adequate directions for uses that have not been approved by FDA. So if a manufacturer distributes a drug with the objectively verifiable intent that it be sold for an off-label use, the drug can be deemed “misbranded.” So far so good. But how did FDA arrive at its conclusion that Aegerion intended to distribute Juxtapid for a new use? It relied solely on the CEO’s talk-show statement as its basis for that conclusion. As FDA well knows, the courts have routinely ruled that the First Amendment prohibits the agency from reaching a new-intended-use determination on the basis of a single truthful statement. OPDP’s Warning Letter can only be described as open defiance of those court decisions. Most recently, the U.S. Court of Appeals for the Second Circuit ruled in December 2012 that the First Amendment bars the federal government from prosecuting an alleged “misbranding” violation based solely on isolated oral statements regarding off-label uses of an FDA-approved drug. United States v. Caronia, 703 F.2d 149, 162 (2d Cir. 2012). Accepting First Amendment arguments presented by Washington Legal Foundation, the appeals court overturned the criminal conviction of a pharmaceutical salesman who had disseminated truthful information about off-label uses for one of his company’s drugs to a doctor. The federal government decided not to appeal Caronia, explaining that it did not believe that the decision would interfere with its enforcement of federal drug laws. Evidently, what the federal government meant by that statement was that it felt free to ignore federal court decisions. FDA’s new-intended-use argument relies on a 1993 Supreme Court decision that the First Amendment does not prohibit the use of truthful speech to establish that the defendant has taken actions based on a proscribed intent. But as Caronia makes clear, there is a marked difference between using speech as some evidence of an improper intent (as part of an evaluation of all other available evidence), and relying on speech alone as the proscribed conduct. Caronia held unequivocally that the latter is constitutionally impermissible. Apparently, FDA cannot be bothered by First Amendment case law that is directly on point. If the agency is going to jilt federal courts like this, it should at least make the effort to explain itself.